"BRUTALISTS," Part Two Bureaucratic overlords with morbid agendas need love, too. What lengths will they go to? A string of gruesome murders, a deadly disease, and a dark conspiracy; for Bloodstrike, that’s a Tuesday. Michel Fiffe has spent his career as a one-man postmodern comics studio, mastering writing, pencilling, inking, coloring, and lettering from his Brooklyn home. Michel Fiffe’s work is an act of solitary ingenuity. 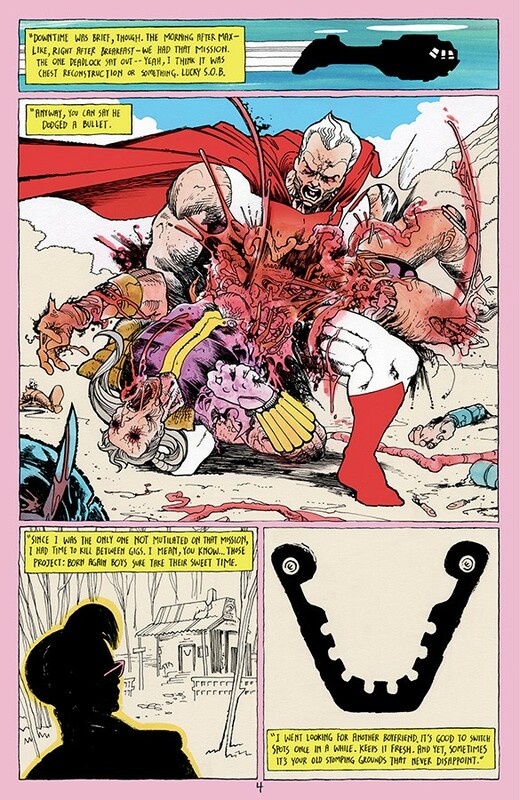 Since 2014, his name has bounced around comic circles in the wake of his self-published indie masterpiece, Copra, a psychedelic ode to ’80s grit à la John Ostrander’s Suicide Squad run.